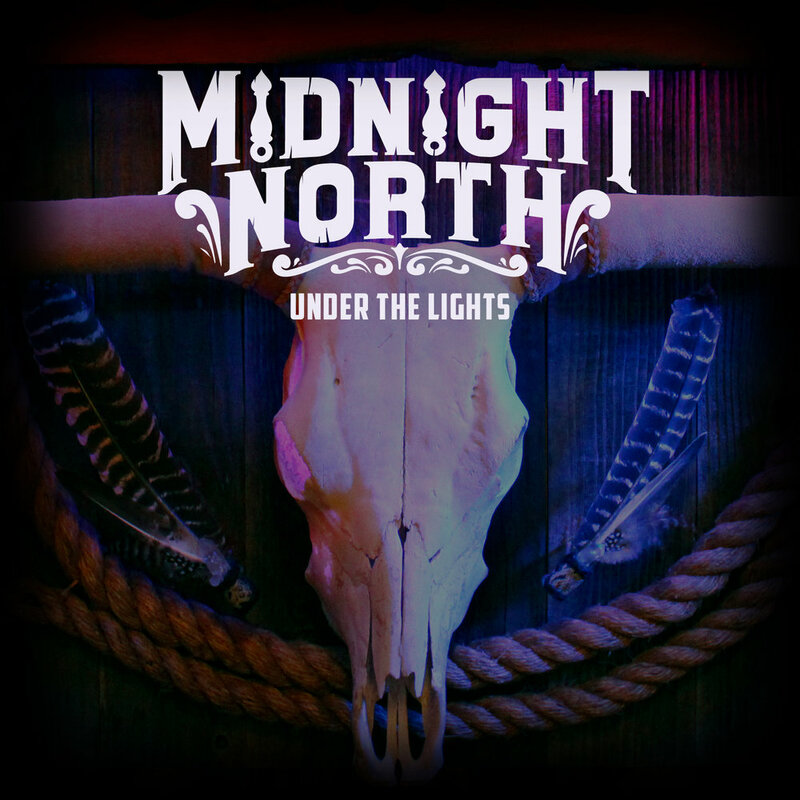 California Folk-Rock band Midnight North has announced the release of their third studio album, Under the Lights, on June 16, 2017. Recorded by David Simon-Baker (Los Lobos, ALO, Jackie Greene, Mother Hips) at the Greene Room and Allegiant Studios, the 11-track album represents a country and soul-tinged sound that capitalizes on the band’s expert songwriting, strong melodies and seamless three-part harmonies. The Bay Area-based band will celebrate the release of their new record with a hometown show at Great American Music Hall and an extensive tour of both coasts this spring. Midnight North wrote the majority of Under The Lights after their first east coast and midwest tour. The influence of being on the road — the initial excitement, the longing for home, and the inherent need to keep moving — shines throughout the record. The resulting album shares the heart and soul of four talented musicians: Grahame Lesh (vocals, guitar); Elliott Peck (vocals, guitar); Alex Jordan (vocals, organ); and Connor O’Sullivan (bass). The first single off the album, “The Highway Song,” is perhaps the most clearly influenced by the band’s time spent on tour, boasting deft lead guitar, sweeping harmonies, and country-tinged vocals that transport the listener to the open road. Meanwhile, “Playing A Poor Hand Well” makes expert use of organ and horns to accentuate Peck’s powerhouse vocals. “Everyday,” shows a sunnier side of the band’s repertoire; the song takes a page from the Grateful Dead’s book, with catchy, harmony-laden melodies and good, old-fashioned rock n roll influences. The band has made a name for itself with its impressive live shows and festival appearances, where the musicians have jammed with heavyweights like Bob Weir, Phil Lesh, Tom Hamilton, Mihali Savoulidis, and more. Midnight North will also celebrate its fifth anniversary of their Sunday-night gig at Terrapin Crossroads in their hometown of San Rafael, CA. While Under the Lights represents a tighter, more concise recording of the band’s extensively tour-tested songs, at their live shows, listeners can expect energetic, improvisational detours and the raw talent of four musicians who have spent years perfecting their craft onstage. For more information on Midnight North, including ticket information for all shows, visit midnightnorth.com.